Age 80 of Horseheads, NY. 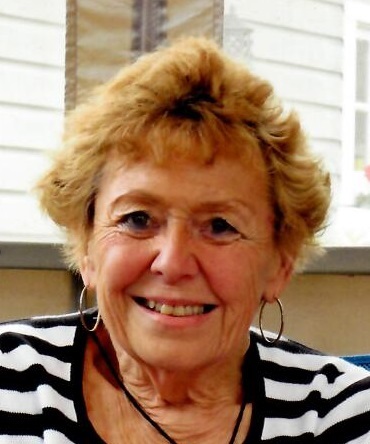 She was born June 6, 1938 in Elmira, daughter of the late Merle and Marion (Sheely) Bryan and went home to be with her Lord on Sunday, March 24, 2019 at the Arnot Ogden Medical Center. In addition to her parents, she was predeceased by her husband Donald F. Stebbins and stepson Scott Stebbins. She is survived by her daughter and son-in-law Elaine (Root) and William Game of Horseheads; son Jeffrey Root of Arcadia, FL; stepdaughter Susan Whitelaw of Romulus, NY; granddaughters Lauren Game of Nashville, TN and Kristen (Chris) Golden of Corning, Russell (Joy Simmons) and Amber (Brien) along with 4 great grandchildren. Mrs. Stebbins retired from the Arnot Ogden Medical Center after 36 years as a labor & delivery RN. She was a longtime member of the former Southside Baptist Church and currently the United Baptist Church of Elmira. She was a member of the Daughter’s of the American Revolution and the Eastern Star. She also volunteered at the Elmira Food Pantry. Family and friends may call at the Barber Funeral Home, 413 So. Main St., Horseheads on Saturday, March 30th from 1 to 3 and 5 to 7 pm. A Celebration of her Life will be held on Sunday, March 31st at 2 pm in St. Matthew’s Episcopal Church, 408 So. Main St., Horseheads. Rev. Wanda Copeland and Rev. Arthur Reed will officiate. Private interment will be in Woodlawn Cemetery at the convenience of the family. In lieu of flowers, those wishing may remember Mary Lou through donations to the charity of one’s choice.